New vehicle pricing includes all offers. Tax, Title and Tags not included in vehicle prices shown and must be paid by the purchaser. While great effort is made to ensure the accuracy of the information on this site, errors do occur so please verify information with a customer service rep. This is easily done by calling us at 661-451-1400 or by visiting us at the dealership. Polar White exterior and Black MB-Tex interior, GLA 250 trim. EPA 31 MPG Hwy/23 MPG City! Back-Up Camera, Flex Fuel, Power Liftgate, SMARTPHONE INTEGRATION, BLIND SPOT ASSIST, CONVENIENCE PACKAGE, Turbo, Alloy Wheels CLICK ME!======KEY FEATURES INCLUDE: Full-Time 4MATIC® All-Wheel Drive, Power Liftgate, Back-Up Camera, Turbocharged, Flex Fuel. Rear Spoiler, MP3 Player, Remote Trunk Release, Privacy Glass, Keyless Entry. ======OPTION PACKAGES: BLIND SPOT ASSIST, CONVENIENCE PACKAGE Garage Door Opener, Auto-Dimming Rearview & Driver-Side Mirrors, SMARTPHONE INTEGRATION Android Auto, Apple CarPlay, Smartphone Integration (14U). 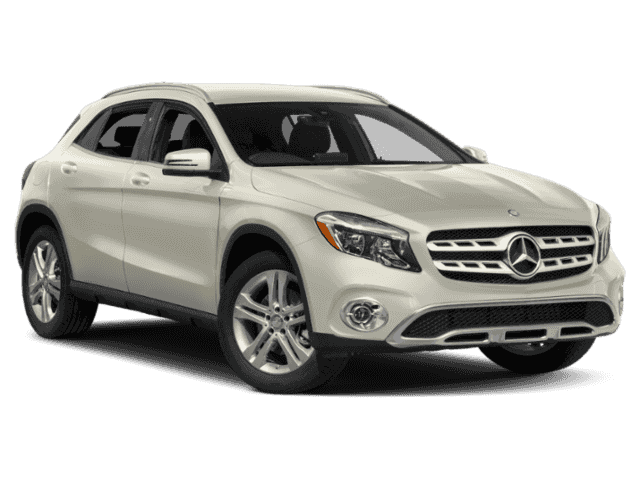 Mercedes-Benz GLA 250 with Polar White exterior and Black MB-Tex interior features a 4 Cylinder Engine with 208 HP at 5500 RPM*. ======EXPERTS REPORT: Great Gas Mileage: 31 MPG Hwy. Horsepower calculations based on trim engine configuration. Fuel economy calculations based on original manufacturer data for trim engine configuration. Please confirm the accuracy of the included equipment by calling us prior to purchase. Our dealership subscribes to the “World-Class Difference” philosophy. It’s what sets us apart from all the other dealerships in the area. Rather than relying on pressure and manipulation to sell you vehicles, offers, and services that you don’t need and don’t want, we go the extra mile to see that your automotive needs are met fairly and in full. Mercedes-Benz of Bakersfield	35.3035889, -119.0342392.